It's that time again, everyone! 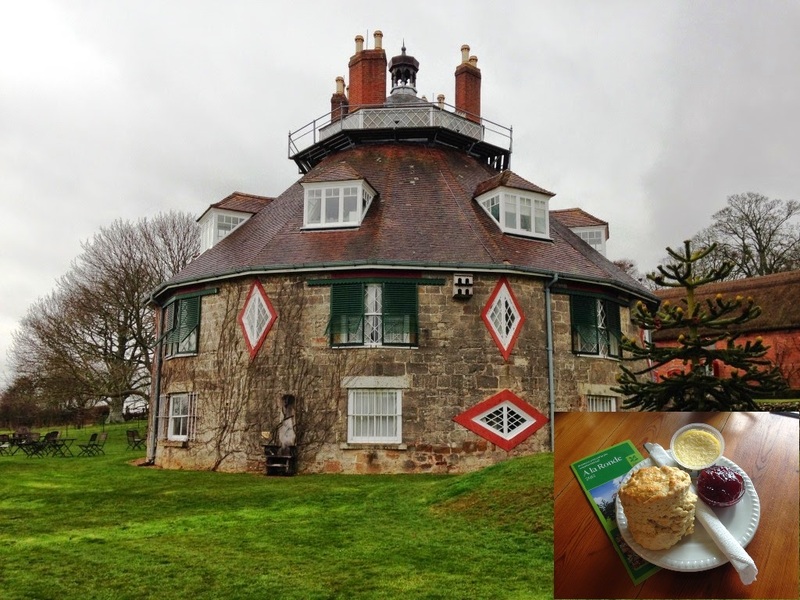 For the third year running, Scone Blogger Productions brings you a countdown of the top National Trust scones of the past 12 months. 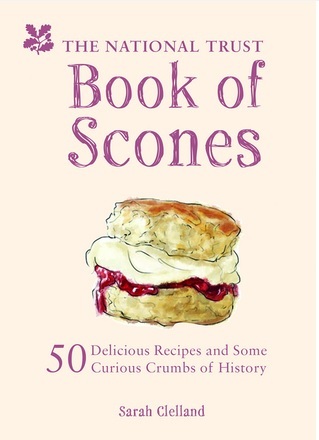 This is not to be confused with the list of the best National Trust scones of ALL TIME, which is of course the greatest page on the entire internet. A la Ronde near Exmouth was built by two cousins in the 1790s to house their souvenirs of the Grand Tour. This has inspired me. 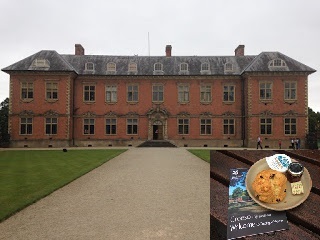 When I complete the National Trust Scone Odyssey (in the 2090s at this rate) I am going to build a house that looks like a scone and invite people to come and look at my National Trust memorabilia, which currently consists of 82 guide books, 47 fridge magnets, 16 mugs, and an umbrella. This was our first top-scoring Devon scone. Read about A la Ronde. 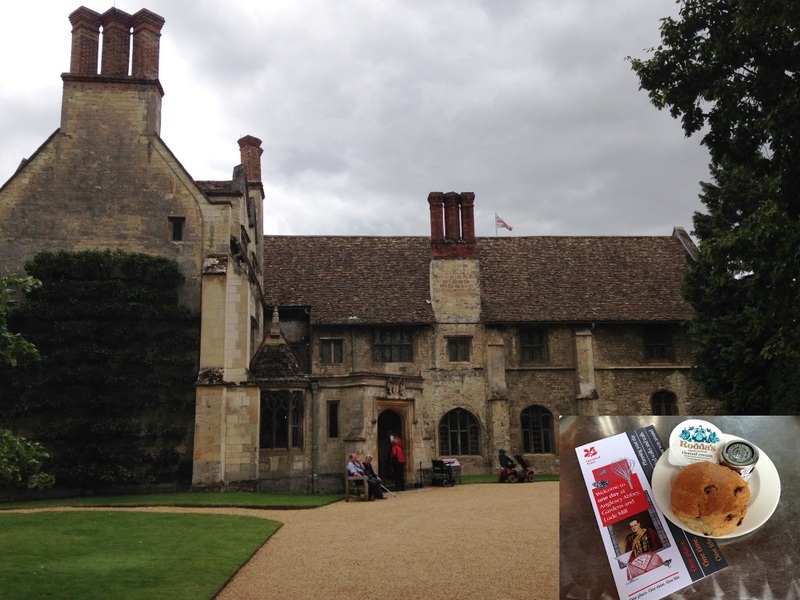 Do you know the best thing about being the National Trust Scone Blogger? It's not eating all the scones - that's the second best thing. 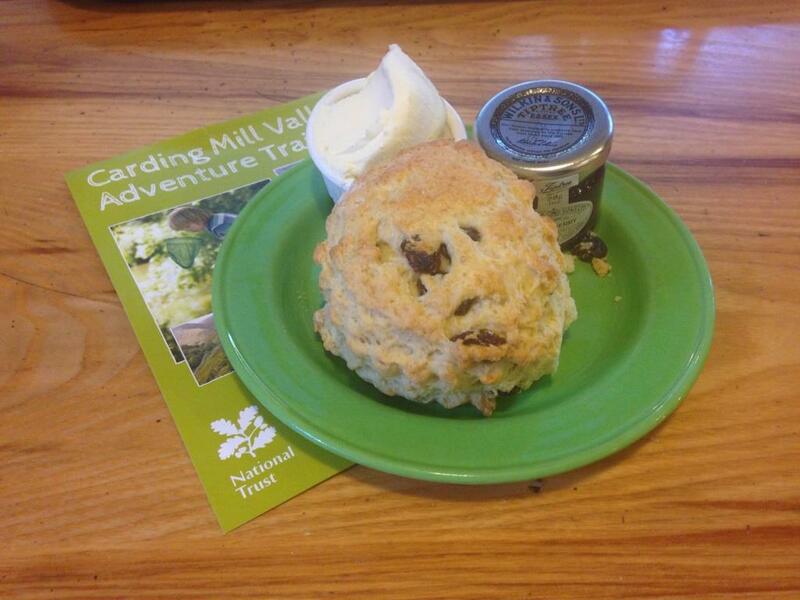 The best thing is all the Sconepals who send me pictures from National Trust properties around the country. Almost every weekend I get at least one picture from Anglesey Abbey. Having tried the scones, I can see why. 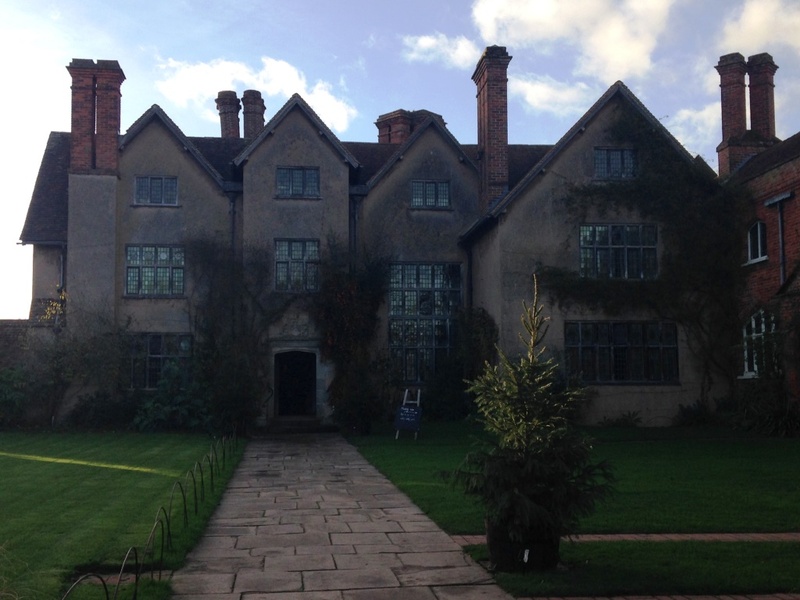 Read about Anglesey Abbey. I've always despaired at people on TripAdvisor who review NT properties as 'Terrible' but when you read further it says "Great place but it rained". However, after my day at Fountains Abbey I'm starting to maybe understand where they're coming from - I can confirm that it is very difficult to enjoy walking around a ruin when the rain is coming in sideways. But we loved the abbey and the scone was very good. 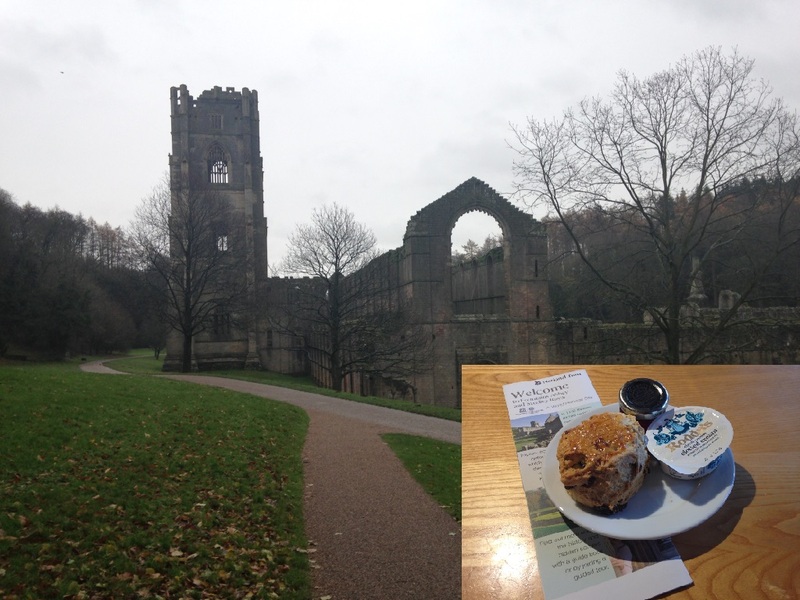 Read about Fountains Abbey. Did you know that Hitler had two lists of people that he was going to round up when he invaded Britain? One was a list of prominent Jewish people. The other was a list of business leaders. Lord Bearsted, chairman of Shell, prominent Jewish person, and owner of Upton House, was on both. Amazing. The scones at Upton were fantastic. Read about Upton House. I love Coughton Court. 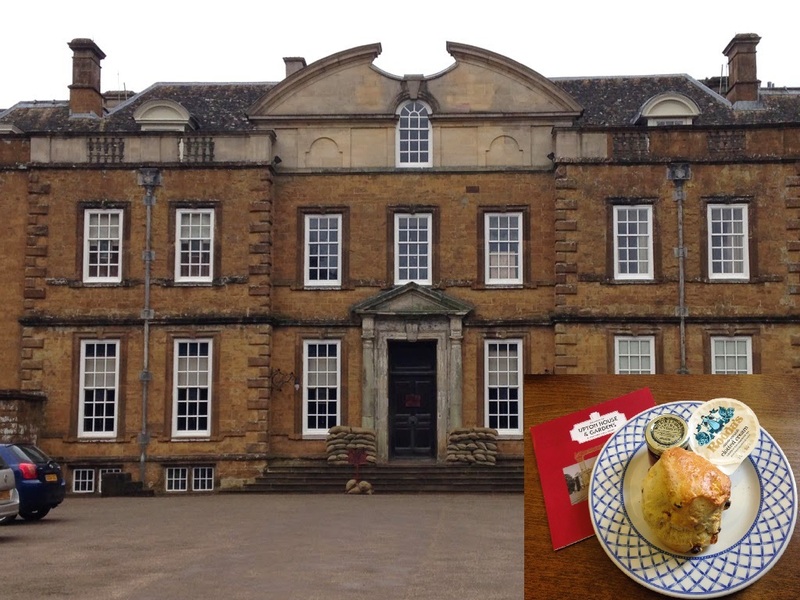 It has been owned by the Throckmorton family for hundreds of years, despite the fact that SEVEN of the 13 Gunpowder plotters were Throckmorton relations, in one way or another. Somehow they weren't booted out of the country or exterminated and the family still holds the lease to Coughton - they'll be there until 2248! Read about Coughton Court. I wasn't a massive fan of Vita Sackville-West before I went to Sissinghurst. But anyone who buys a ruined Tudor tower without electricity, running water, heating, or drains, and turns it into a home and spectacular, world-renowned garden gets my admiration. The gardens have been maintained and they are lovely, plus the views from the top of the tower are fantastic, but it was Vita's study in the tower that really left an impression on me. That and the excellent scones. Read about Sissinghurst. 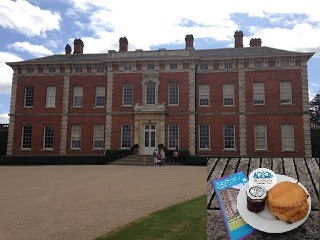 We had just been to Goddards, where we had chanced upon a top class scone, so I headed over to Beningbrough with a heavy heart thinking "no chance of two great scones in one day" BUT I WAS WRONG, sconefans, because the Beningbrough specimen was top drawer. Read about Beningbrough. Every so often I have to get the National Trust handbook out and re-read the entry about Studland Beach. But it's always there, in black and white: Studland contains the biggest naturist beach in the UK. The National Trust is FULL of surprises. I didn't see any naturists. I did see about 700 German teenagers looking at the pencil sharpeners in the gift shop to avoid the rain. And I saw a delicious scone that looked a bit over-baked but wasn't. 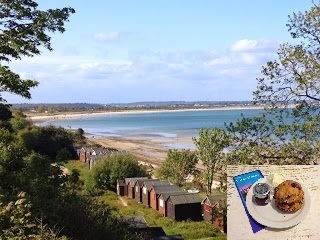 Read about Studland Beach. The second best thing on TV this year was Wolf Hall. The best thing was an episode of the kid's TV show Grandpa In My Pocket, which featured an old school pal of mine playing the part of Mr Cheese. Anyway, Montacute House starred in Wolf Hall as Greenwich Palace. 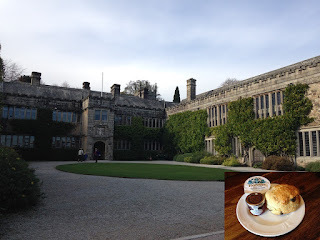 I liked its bobbly hedges and I loved its bobbly scones. 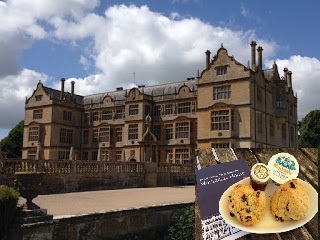 Read about Montacute House. I absolutely loved Tre-DEE-ga House. It has everything: a former owner who kept a pet baboon called Bimbo, fantastic volunteers, amazing scones, AND it has a Dalek in the stables (they film Doctor Who there). Read about Tredegar House. If you had told me a year ago that I would have a fantastic day out at a garden featuring a gilded water buffalo and a singing tree, I would have laughed scornfully at you. 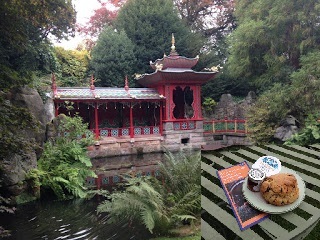 But Biddulph Grange Garden was A-MAY-ZING, as was the scone. Read about Biddulph. It seemed to take about three months to get there, but our very first trip to Cornwall was a TRIUMPH. 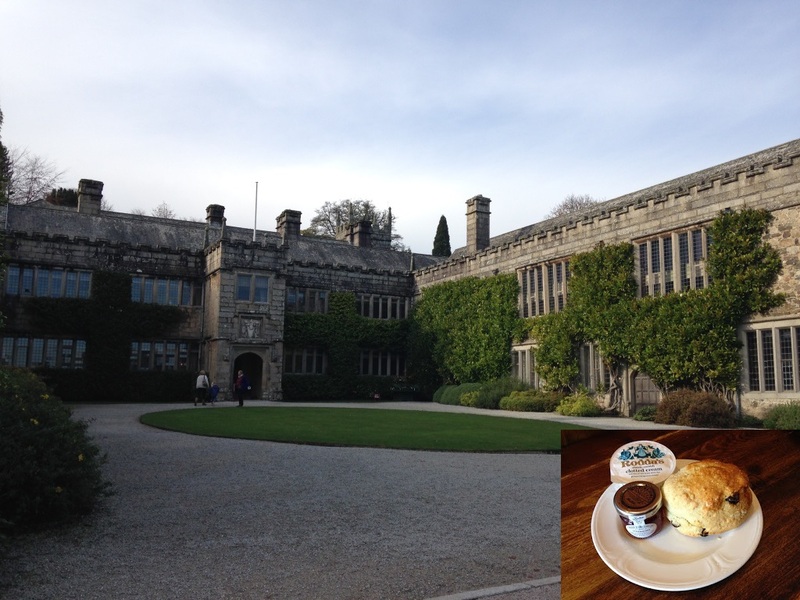 The Lanhydrock scone was perfect - light and fluffy and gone in under two minutes. 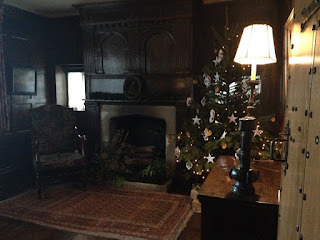 Read about Lanhydrock. I'm still reeling from my day at Goddards and what was surely the shocking discovery of the year: before Terry's invented the Chocolate Orange, there was a Chocolate Apple!! I KNOW. Other shocks: a) Goddards has a honesty box for sherry b) the family of Noel Goddard Terry, owners of Goddards and of the famous chocolate factory, did not look like five Augustus Gloops, as I had expected. There was table service in the actual dining room and a stunning scone. Read about Goddards. I was almost dreading my visit to Speke Hall. The baker at Speke is on Twitter and she seems like a lovely person. What if the scones were terrible and I wouldn't be able to lie AND OH MY GOD WHY AM I DOING THIS PROJECT. But the scone was sublime - I ate every crumb of it. And then I went and boggled at the beauty of Speke and the vastness of the River Mersey, which runs right by it. 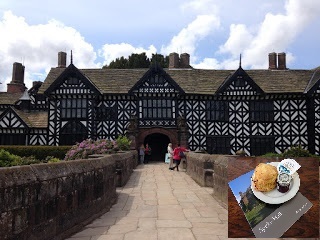 Read about Speke Hall. 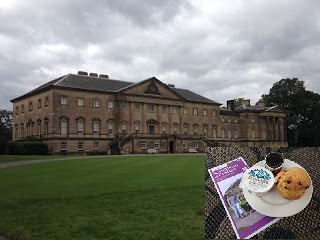 There are three or four NT properties that fall into the 'spiritual home of the Scone Blogger' category and Nostell Priory is one of them. There were three types of scone on the menu - I'd forgotten to bring my fake-moustache-attached-to-a-pair-of-glasses disguise, so I couldn't go back and try the third one. In November they had a Scone Week. They also have the nicest volunteers EVER. I might just pitch a tent on the lawn and move in. Read about Nostell Priory. It's not easy being the National Trust Scone Blogger. The reaction of friends and family to this blog is a mixture of "are you still doing that?" and "WHY?" But just occasionally I have a day out at the National Trust that is so perfect, it makes everything worthwhile. My trip to the White Cliffs of Dover and South Foreland Lighthouse with the Scone Sidekick was one of those days. The White Cliffs of Dover Visitor Centre was our first stop. We sat outside on a beautiful day, eating the most FANTASTIC scones, drinking tea, and watching ferries. Did I expect watching ferries to be quite so immensely enjoyable? No. Was it immensely enjoyable? Yes. Read about the White Cliffs of Dover. We then walked along the cliffs for 40 minutes to South Foreland Lighthouse. I wasn't expecting much to be honest, but we arrived and were immediately scooped up into a tour with Martin, a contender for National Trust guide of the year. I had a bit of a Bruce Bogtrotter moment in Dover. Bruce Bogtrotter is the boy in the Roald Dahl book, Matilda, who is forced to eat a whole chocolate cake by the evil Miss Trunchbull. 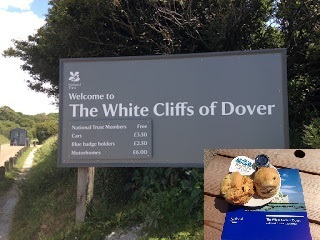 I enthusiastically tucked into the two scones that came with the cream tea at the White Cliffs Visitor Centre. 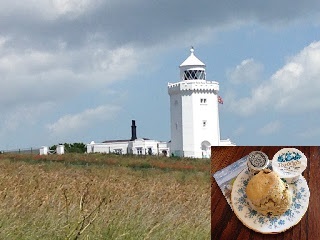 I then discovered that South Foreland also served two scones. I ploughed on, watched by a very disconcerted Scone Sidekick, but I could only manage one of them. It was a fantastic scone. I often think of the one I left behind. Read about South Foreland. And that's it for another year! 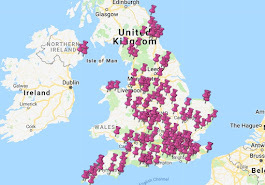 We've completed 106 out of an estimated 230 National Trust tearooms - next year I will venture into the vast unknown, namely Norfolk and Cumbria. And finally, I would just like to say a giant THANK YOU to all the wonderful Sconepals that have sent pictures and words of encouragement this year. You're all sconetabulous. This year I discovered a great new hobby; reading negative TripAdvisor reviews of National Trust properties. I have come to the conclusion that 50% of the Terrible or Poor reviews of NT places are connected in some way to the reviewer getting the opening times wrong. We've all done it - the Scone Blogger's own sister once delayed us so much that the mansion we were visiting was shut by the time we got there. Did I go on TripAdvisor and blame the property? No I did not. Did I save £80 on Christmas and birthday presents for my sister that year? Yes I did. Another 20% of the Terrrible or Poor reviews complain about the parking, while 20% report that the place itself was fine, but it rained. 5% are annoyed that their dog wasn't allowed in. I obviously wanted Carding to be busy, because I decided to visit on a gloriously sunny day during Christmas week, when all the kids were off school. I knew it was a risk. The ever-present pessimist in me warned that the dreaded day might finally have come, the day when the tea room would be full and I would be forced to sit on a doorstep gnawing at a dry scone. But it didn't happen. 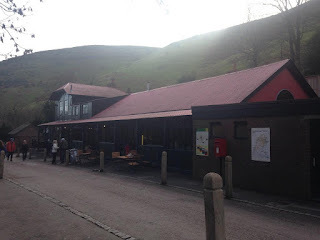 Carding was busy but the cafe is one of those brilliant National Trust tea rooms that knows exactly what it's doing: serving a lot of people, as quickly as possible. It also offered one of the finest arrays of cakes I have ever seen at the National Trust. I had to force myself to choose the scone. 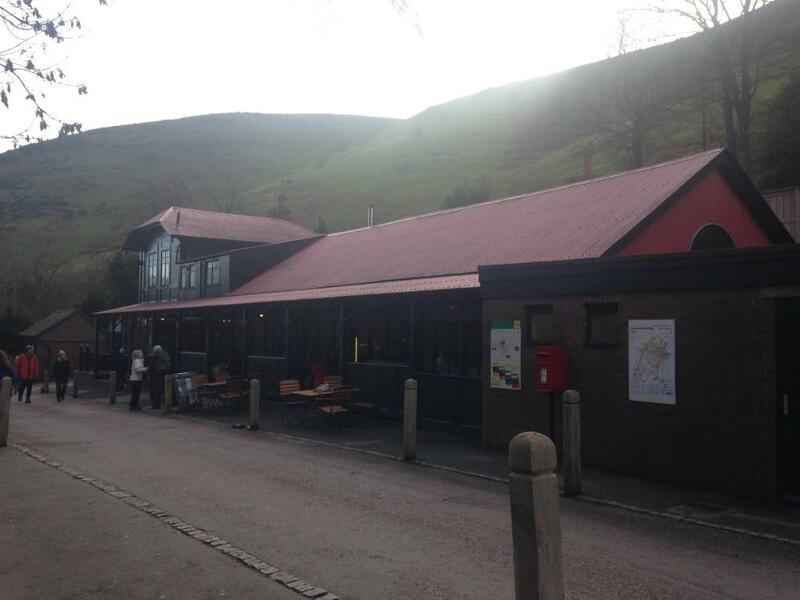 The lovely tea room at Carding Mill Valley. It was imported from Scandinavia, apparently. The scone itself was very nice - it looked the part and it tasted good. And I got to eat it listening to Christmas carols next to a Christmas tree, which doesn't happen very often for obvious reasons. Anyway. 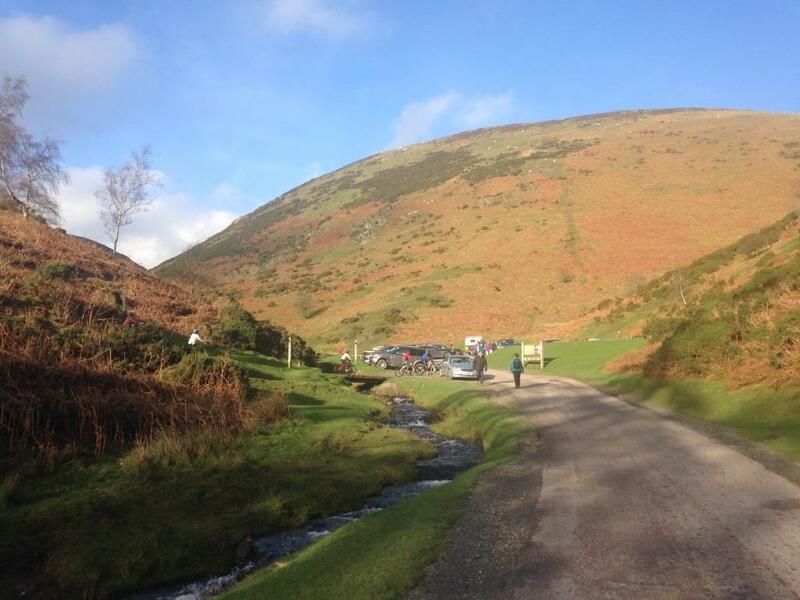 Having eaten my scone, I set off with all the other far better equipped people to explore Carding Mill Valley. As I puffed up the hill, I saw cyclists, caravans, children jumping across the stream, dogs jumping into the stream, sheep, fell runners, and a National Trust ranger in his Jeep. It was like I had been dropped into a National Trust Lego set. Naturally, I was a figure from a completely different Lego set, probably the I Live in a City and Work in an Office one, with footwear to match. The other thing that struck me about Carding Mill Valley was that EVERYBODY WAS HAPPY. They say that Christmas is a very stressful time and people are just one request to put the kettle on away from a stabbing, but I didn't see a single tantrum or hear any cross words. It was great. The one thing I didn't get today was much history about the area. There was a sign explaining that the remains of a 2,500 year old hill fort can be found nearby, but that was it. I didn't really mind though. 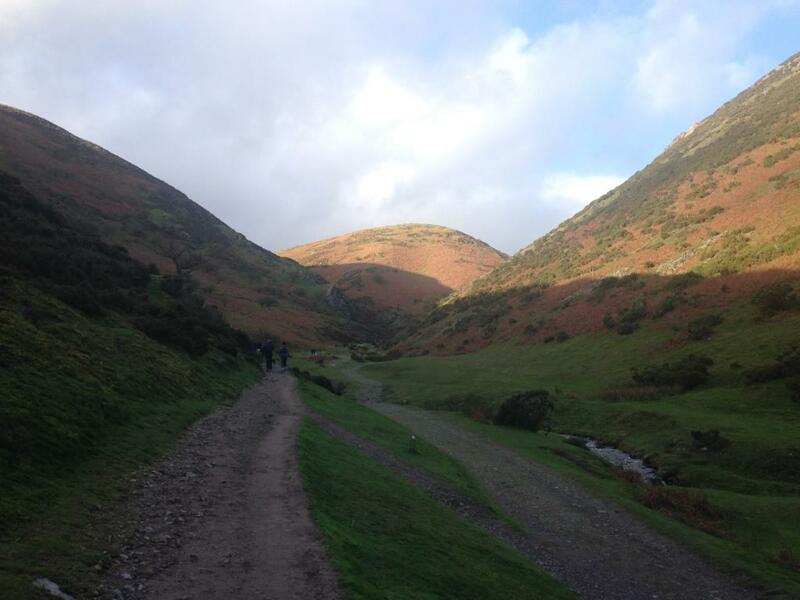 It forced me to concentrate on the hills and the stream and the countryside. Later, I found this useful site that provides a lot of background, starting from the Bronze Age through Roman times to the carding mill that was built in 1812 to process local fleeces. It's well worth a read. And so 2015 ends with another lovely mission on the National Trust Scone Odyssey. That's 43 visits this year. Only another 125 to go. It's that time of the year AGAIN! National Trust properties across the land are on tenterhooks waiting for me to announce my Top National Trust Scone of the Year. They'll have to wait a bit longer though, because today it's all about the Sconepals. 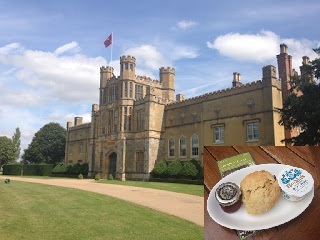 Yes, this year I ran a survey of my fellow National Trust scone aficionados and asked them to vote for their top NT scone of 2015. And they deserve it - I managed to make it there myself back in May and I LOVED it. 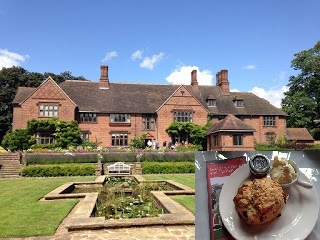 Read about Speke Hall's top-scoring scones. I am delighted to say that I've visited seven of these properties and FIVE of them got top marks from me, so clearly we are all aligned on what makes an excellent scone. 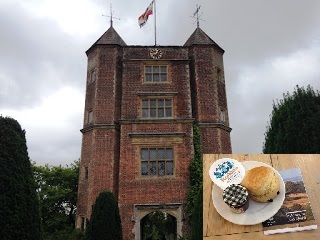 Thanks to everyone that voted - you keep me going with this National Trust Scone Odyssey. I will make sure that you are all invited to join me for my final scone when the day eventually comes - I have around 125 properties to go though, so don't put your coats on just yet. Finally, a big well done to all of the properties that got a mention - keep up the good work! And tune in at the end of the month to find out who has won the most coveted award of all: the Scone Blogger's Top Scone of 2015! I've wanted to visit Packwood for a while. Back in June we went to Baddesley Clinton, which is just down the road. The taxi driver that picked us up after our visit to Baddesley asked if we'd also been to Packwood. I said no. "Oh it's LOVELY!" he said. "We've got ten minutes before your train, I'll take you down there and show you." And so like one of those gameshow contestants that has to look at the speedboat they didn't win, we ended up driving past Packwood so we could see it. Packwood was given to the National Trust by Graham Baron Ash, whose family had owned the place since 1904. He preferred to use his middle name, so everyone called him Baron Ash, even though he was no more an actual baron than I am. A rogue comma was also inserted on one occasion, so it became Graham, Baron Ash. This is ingenious. If Mr Sugar had called his son Lord instead of Alan, he could have saved him the bother of flogging all those computers. The story goes that Baron asked his parents to buy Packwood - so they did. He was only 15 at the time, which is a bit odd - if you consulted most 15 year olds on where they wanted to live, "as far away from you as possible, while still accessing your laundry and cooking services" would most likely be their reply, over "a Tudor manor house I can restore". They were rich, though - the family had made its money from zinc, although Baron never referred to this in later life, preferring to see himself as a country gentleman. It sounds like Bazza was a fastidious type - if you turned up one minute after your expected arrival time, there was a good chance you'd would be turned away. He gave the house to the National Trust in 1941 on the condition that it must be kept exactly as he had it, contents and all. The owner of Treasurer's House did the same thing, although I believe he actually threatened to come back and haunt the NT if they so much as moved a table forward an inch. Presumably the NT representative laughed nervously and then looked up 'exorcist' in the Yellow Pages. Interesting factoid: Baron eventually fell out with the National Trust. After he handed Packwood over, he went to live in a castle in Suffolk. Although he remained friendly with the Packwood gardener, he didn't agree with how it was being run and when he died in 1980 he left none of his £3 million estate to the Trust. His niece, however, gave them a generous bequest that enabled the purchase of nearby Baddesley Clinton. It's taken me a staggering two years to work this out, but National Trust properties can get quite busy at weekends. And I've noticed that the best room guides often hang out in the smallest rooms on Saturdays, so you'll turn into Lord Morris's chess room and one guide is surrounded by 40 visitors, all squashed in and hanging on her every word, until one visitor says "my great-grandmother was a Morris - I wonder if I'm related?" and then looks expectantly at the guide, as if she is going to pull out a family tree and say "Yes! Here, take all these antique chess sets, they are rightfully yours". ANYWAY. 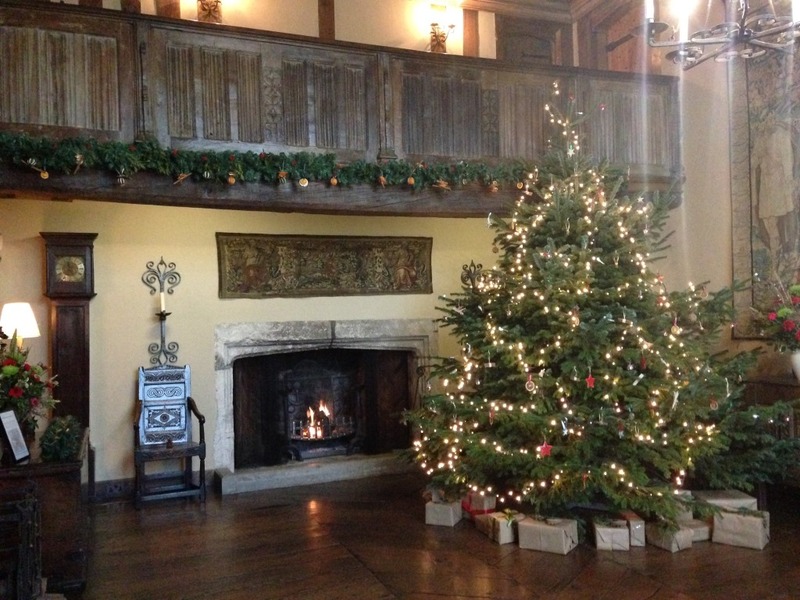 I went to Packwood on a Friday, which meant that it was relatively quiet. A lovely tour guide called Jean walked me through a few of the rooms. She explained the history and showed me some pictures - it really made my visit. She would definitely win BBC Scone Personality of the Year, if the BBC hadn't rejected the idea as "borderline insane - please stop emailing us" (their loss). I decided to go to Packwood on a bit of a whim, which meant that I hadn't read up on it beforehand. This is my excuse for why I didn't see the Yew Garden. The yews first appear on a plan from 1723, and 16 of them supposedly represent the four evangelists and the apostles.You can see them here: www.ntprints.com/image/354371/the-yew-garden-known-as-the-sermon-on-the-mount-at-packwood-house. The restaurant at Packwood is a thing of beauty. It looked very new and it was full of people who had clearly come for lunch, which is a good sign. 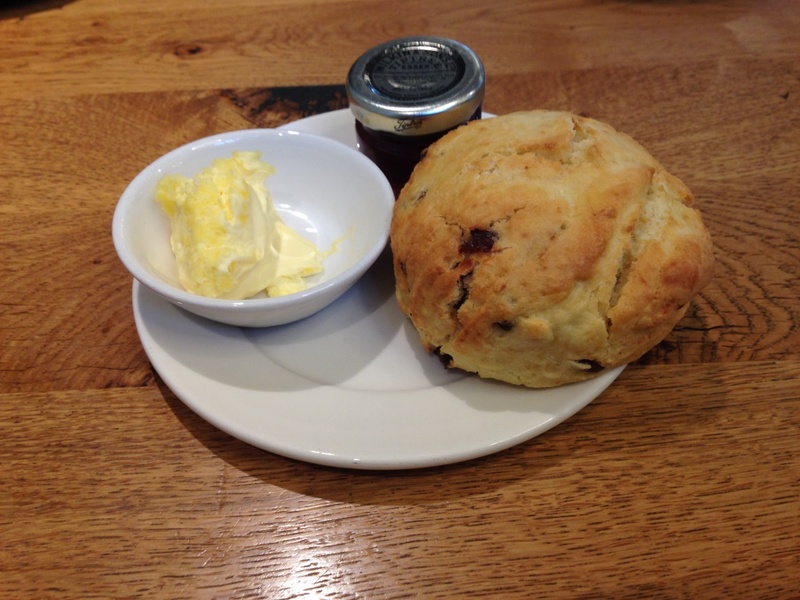 The scone was warm and soft and full of fruit. It might have been a bit too soft, to be honest, but it was tasty. On a final note, I had not realised until today that the National Trust has a website for ordering posters and pictures from its collection! So that's my Christmas shopping sorted after all! 'Monkey Barbers' for everyone!